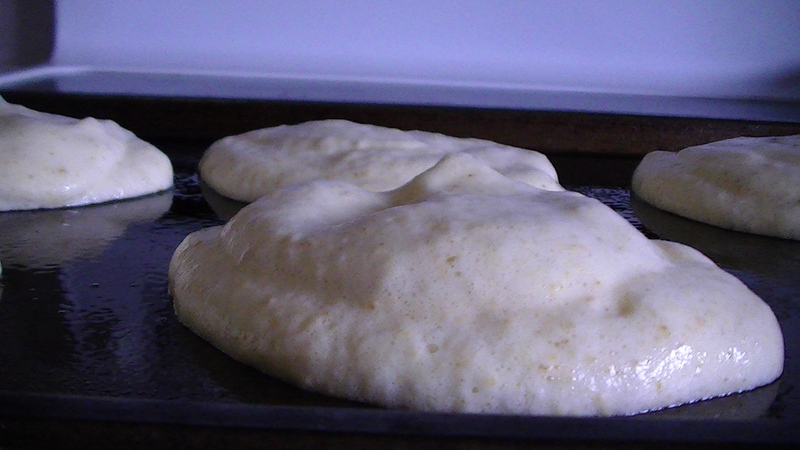 The Cherry Mama: Oopsie Bread? What is the deal with low carb any way? Oopsie Bread? What is the deal with low carb any way? Two weeks ago it was lovely and warm. I cleaned up my garden in hopes of adding seedlings. But the last two weeks has been just a mess. Every Tuesday it dumps snow with no accumulation (except on grass), followed with freezing drizzle. On top of it I am just bored with food. Feeling uninspired. What's a girl to do? 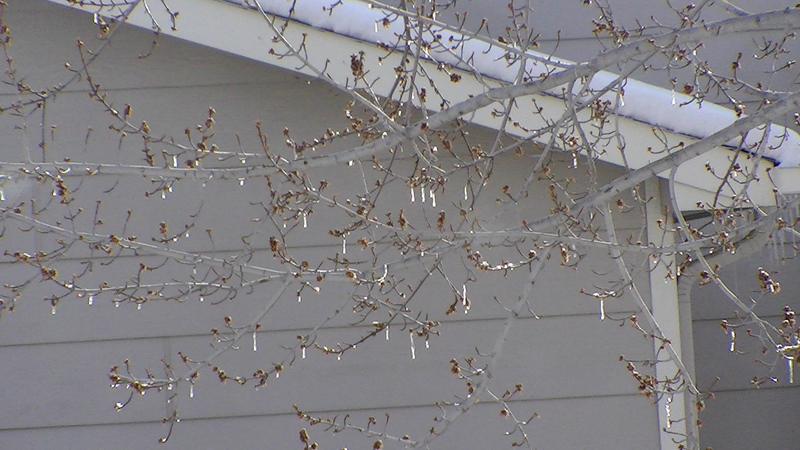 Frosty budding tree in the back yard. After staring at Pinterest I was still left 'bleh'. So then I started looking into low-carb diets, and Paleo way of eating. All very interesting, not looking for a life style change, but it has given me quite a few ideas. They all actually seem yummy! 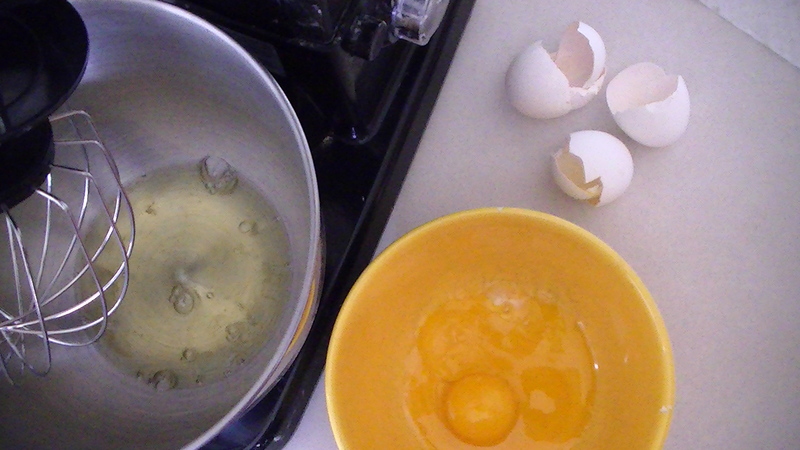 First separate your eggs, whites in your mixing bowl, a yolks in the other. 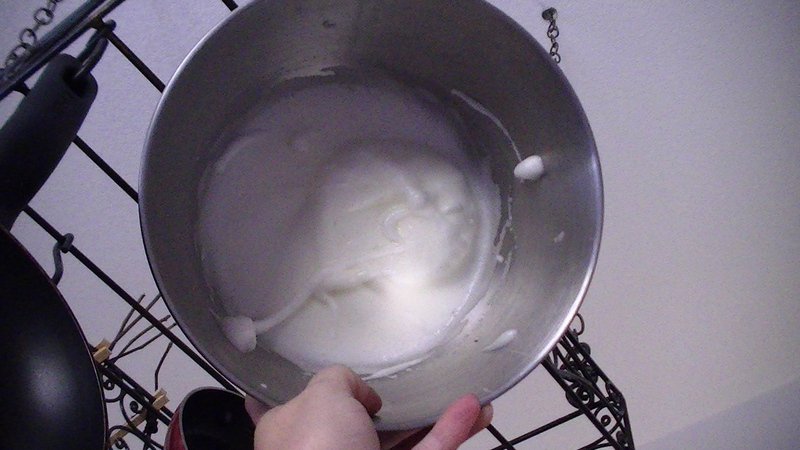 Whip your egg whites until stiff, while adding salt. While that is being whipped up in a frenzy add the rest of your ingredients to your yolks. 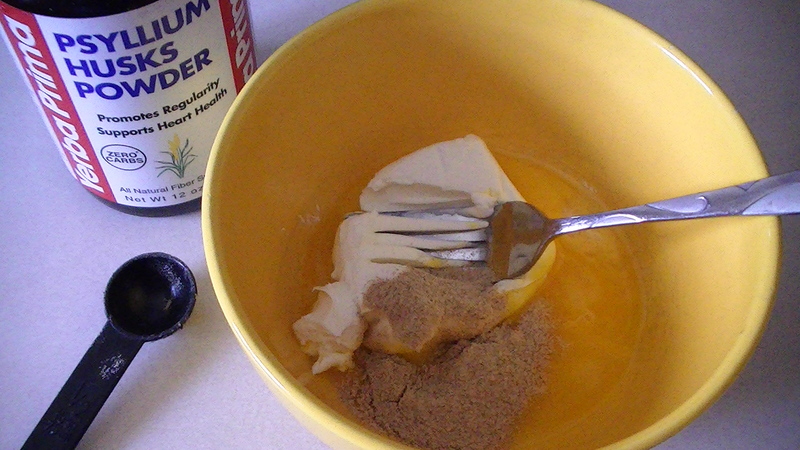 I used the psyllium seed husks (yeah, actually had that on hand) and baking powder. 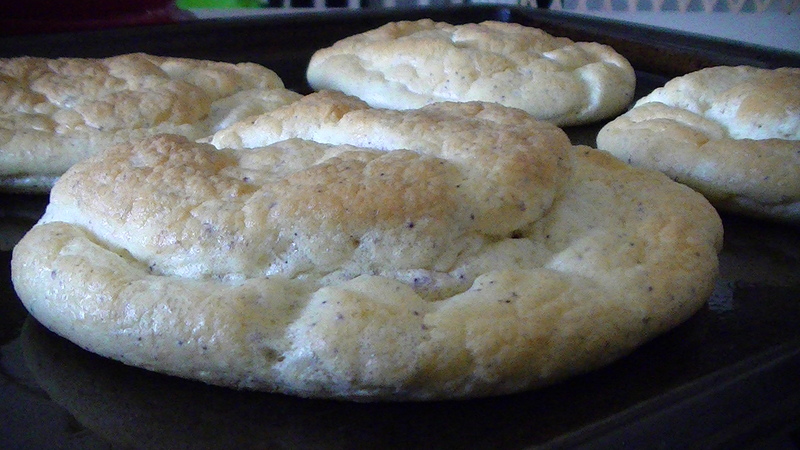 It is noted that they are optional, and they add the more bread-like taste. Well I was aiming for bread, so it makes sense to me! After mixing, your whites should be ready. Do the stiff test, go on, hold the bowl over your head. Will it? Won't it? Only one way to find out! Now fold in your whites to your other bowl. Be gentle, you want to keep the air in the whites. Now plop some on to a lightly greased tray. There wasn't much direction about this part, so I was flying by the seat of my pants. I had no idea how the mix was going act. 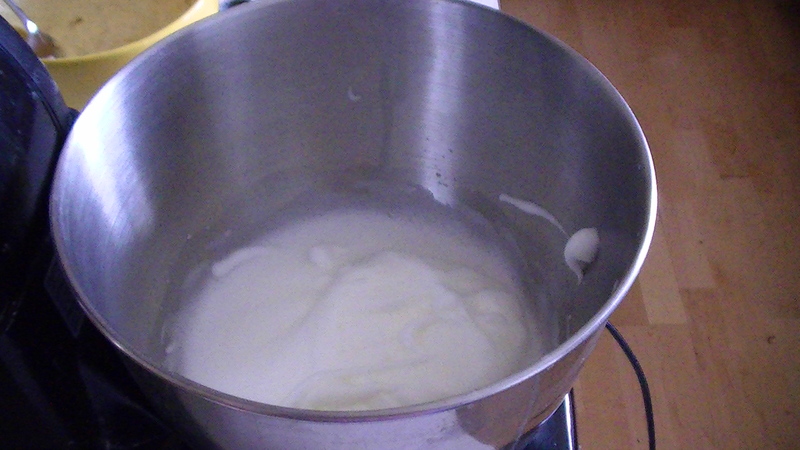 It was sort of a thick foam, I used a large plastic serving spoon it was about the right amount to make 6. Now into the oven, 300 degrees, for about 25 minutes. Mine took 22 minutes. You want them to get golden brown on top. So at the 20 minute mark take a peek. It will smell lovely in your kitchen! 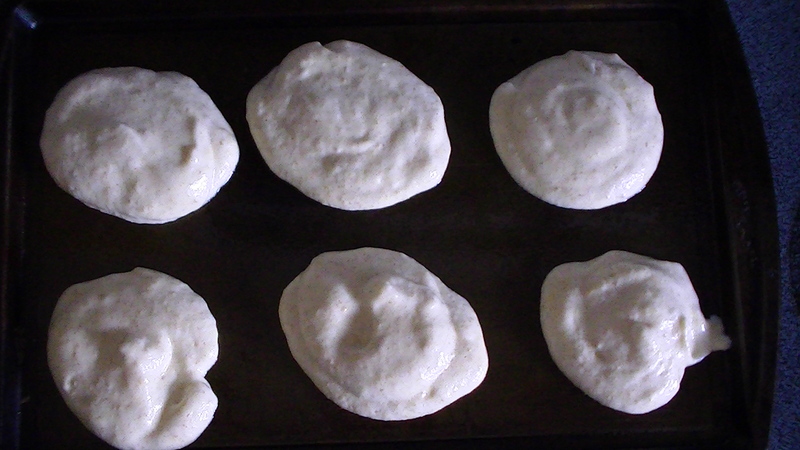 I let them cool on the tray for about 30 minutes (I was feeding the boy). Went to scoop them on to the rack and they felt like baked eggs. I was a little worried. But as the cooled they became more bread like. Cooling on the tray. They are pretty soft, so let them sit for awhile. After the boy was fed, it was now my turn! I didn't go high fat, I am not a LCHF pro yet. So I didn't butter my bread (it didn't need it). 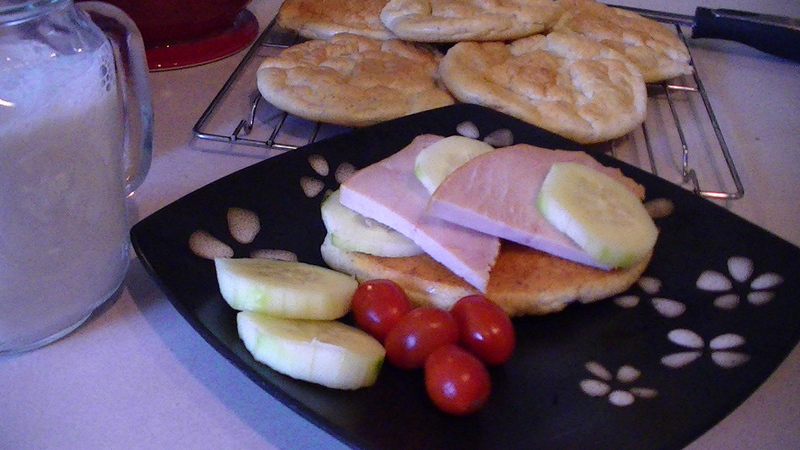 But keeping with the low-carb theme I added turkey and cucumber. So how'd it taste? AWESOME! After I was done with that, I took the remaining cucumbers and put them on another, and then I had one plain. SO GOOD!!!!!! 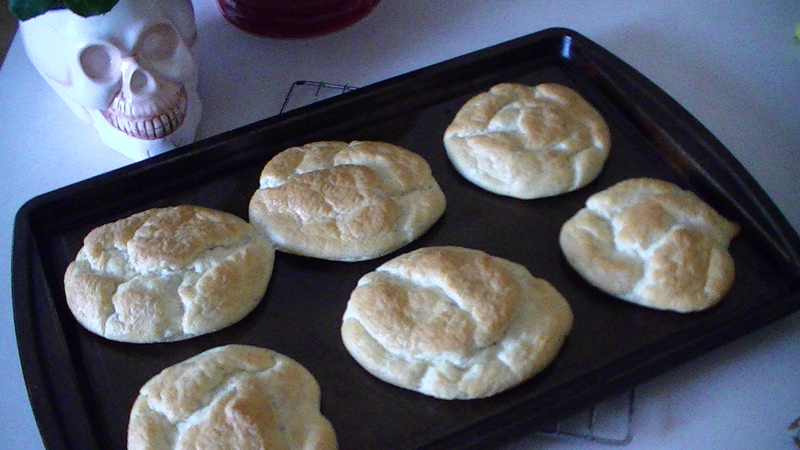 They become more bread-like as they sat, but they were also moist. They are soft and I can see using two of them for a fish burger, or as pita bread. Again I didn't go high fat, because the only cream cheese I had was fat free. 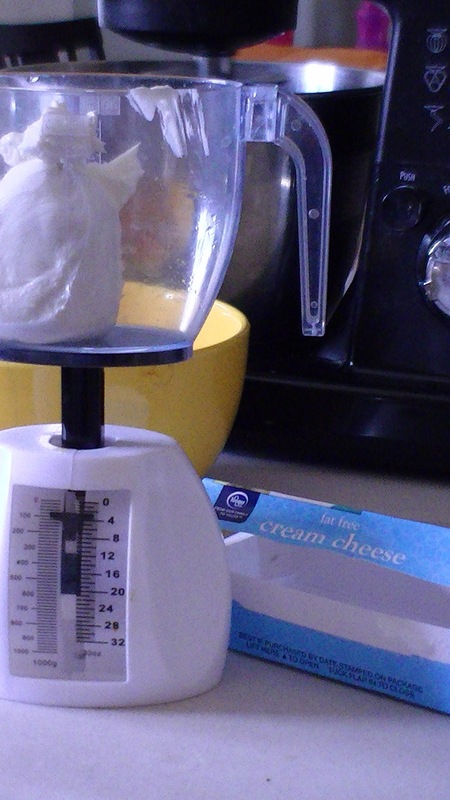 The calorie count for one is about 74, if you make 6, the calorie count will change depending on the cream cheese you use. Click here for another Oopsie! lunch or snack idea! I started just as a trail too, and not really consciously! It just seemed right, and after a week a felt AMAZING! I am kinda in love with the Oopsies! I am going to try with out the husks and baking powder too.